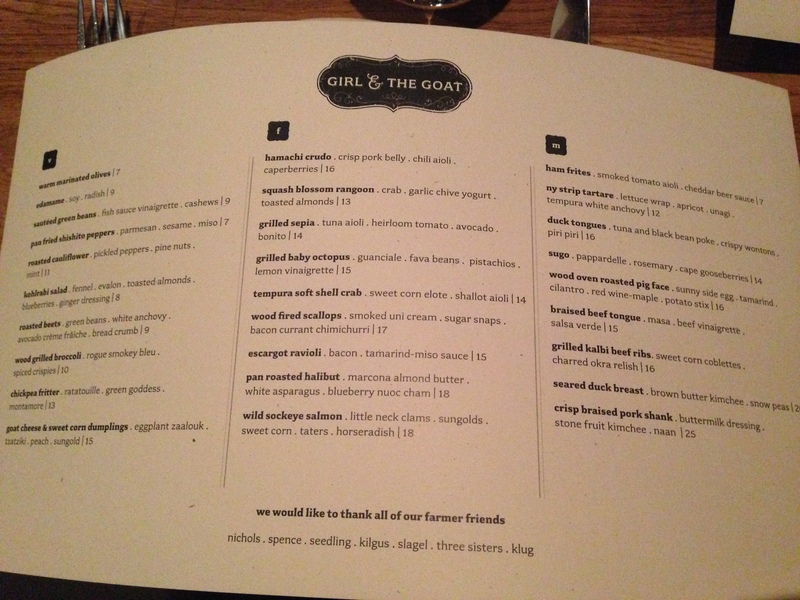 There’s a lot of hype around this restaurant called Girl and the Goat. First off, its the top rated restaurant in Chicago on Yelp. 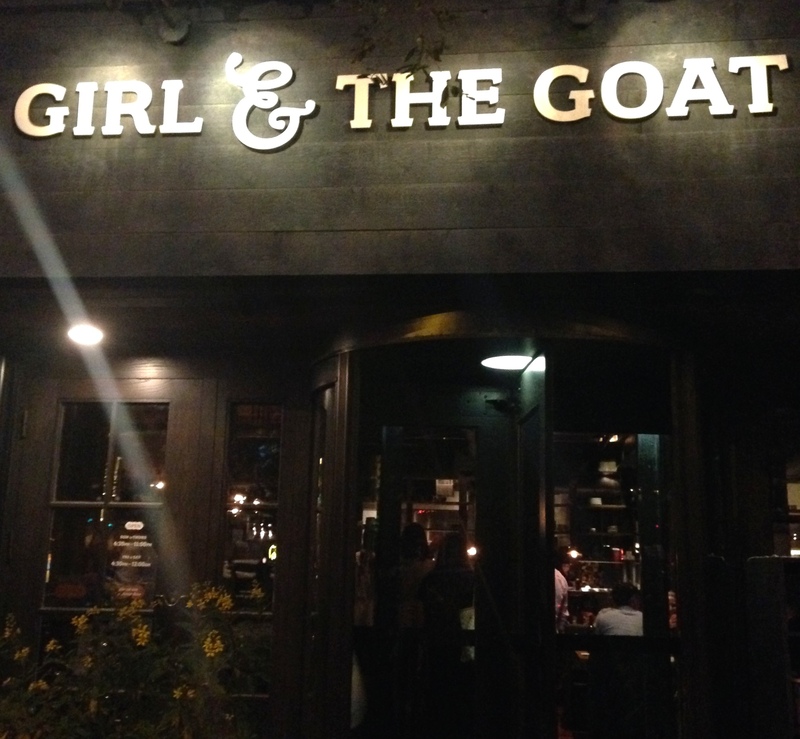 Okay, back to Girl and the Goat. I went on opentable to make a reservation right after I heard about this place, and the only spot I manage to get is 3 weeks later on a Tuesday night at 8:30pm. Despite the fact that I’ll be super hungry by that time, I guess its a good sign that its poppin’ even on a late weeknight. My friend was visiting me from Chicago suburbs and we made it to the restaurant right on time. 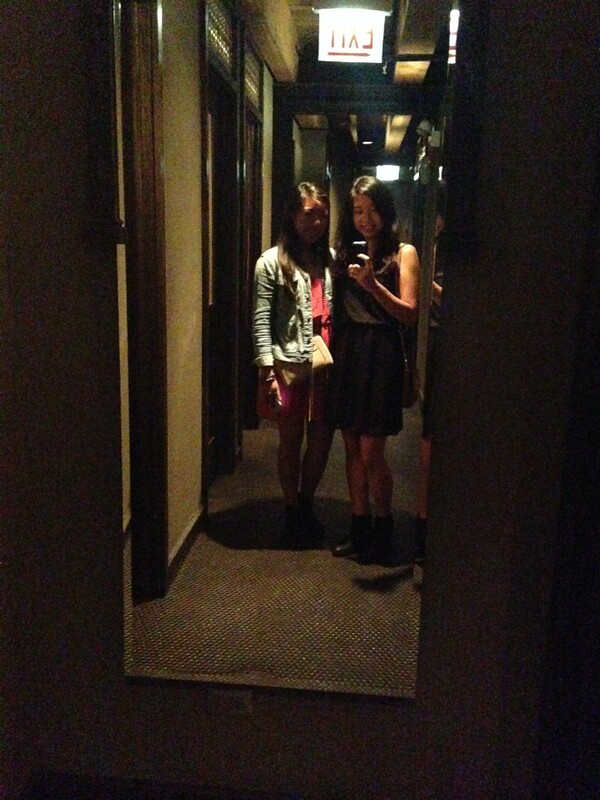 While we were waiting for our table, we checked out the restroom (like all ladies do) in the basement. Our server was impeccable. He was friendly, funny, and attentive all throughout our experience, but then again, most people I’ve met in Chicago are friendly, funny, and attentive so that might not be saying too much. At one point, our server caught my friend browsing through Yelp under the table and assured us that lots of customers do the same thing so its okay. Some customers straight up points to a picture of the food and says “I want THIS”. Well, my case is not too extreme then *phew*. 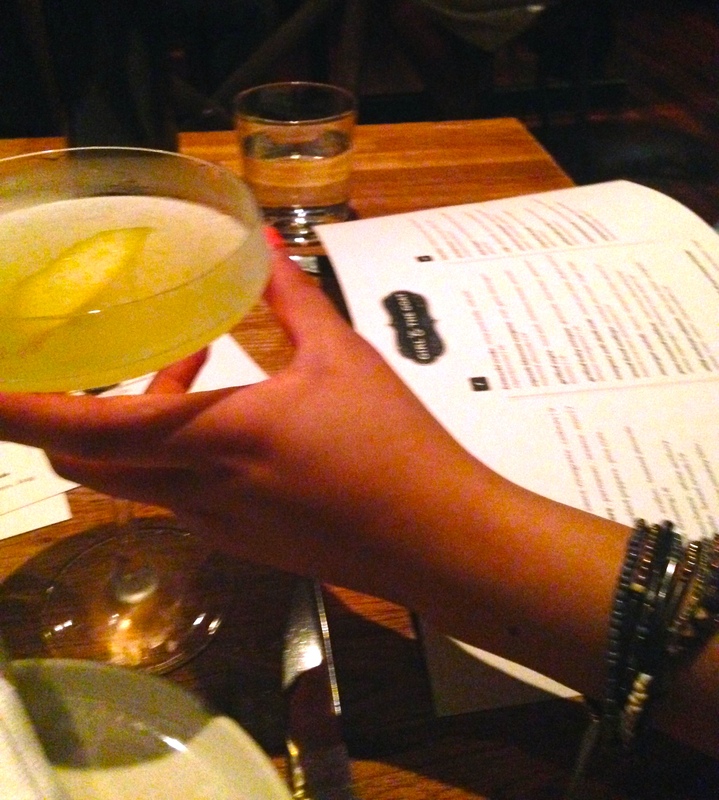 Drinks were good and the food was AMAZING. 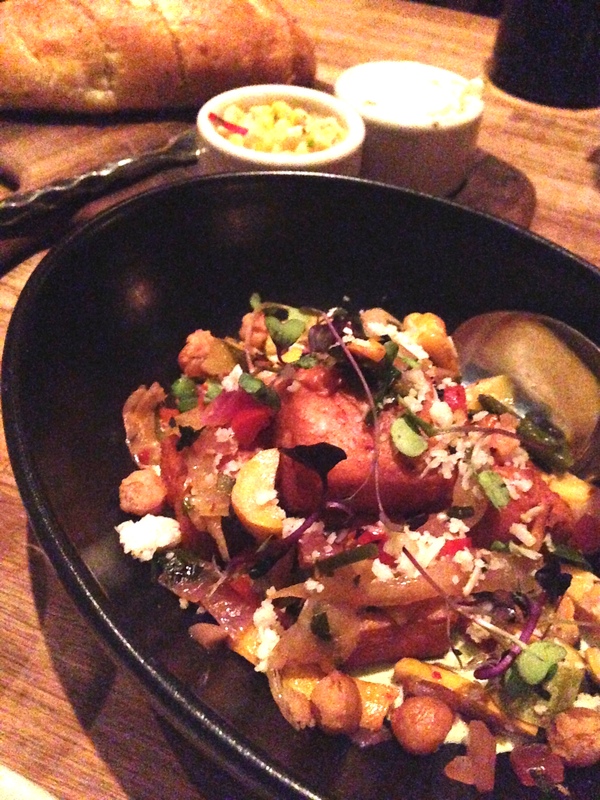 The two dishes that really stood out were the bread – warm and soft with the butter and corn relish YUM! And then the Pig Face. I’m always a little hesitant about highly hyped up dishes like the Pig Face because you end up setting your expectations so high that its difficult for reality to match up, but this dish was like WOAH. Just a disclaimer, it’s not a face of a pig. It is potato stix, pork – barbacoa style I think?, cilantro, and sunny side up egg. The pork was so tender and the flavor mixed it just melts in your mouth! We ended the meal with two desserts. We all have a separate stomach for desserts right? 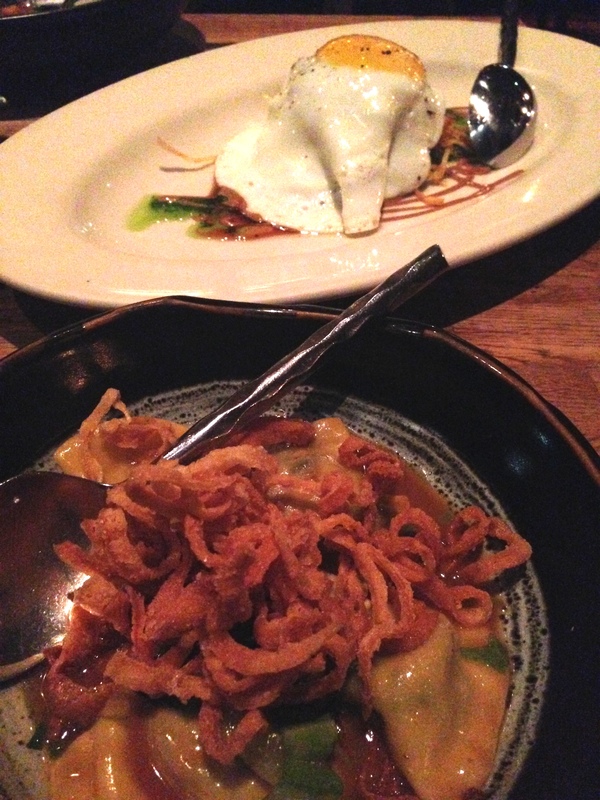 We got the zucchini cake and the miso-butterscotch budino. They were both really good and we were happily stuffed by the end of it. This was quite the experience to go to one of Chicago’s top rated restaurants with good company. It is a great place to catch up with my friend and send her off for the last year in college! The South Loop is a great neighborhood for food and drinks and hopefully I’ll be able to try more places later on!